Really nice refreshing flavour although it tends to Catch slightly in my coil if I'm not careful although that's more the cold weather than anything. This tastes lovely if I put a few drops of Menthol Molotov Cocktail in it as well Come to that I'd love a shortfill in menthol flavour is that doable? This is another great juice from Rejuiced. if you like you citrus juices then you will love this one, on inhale I found I got the lemon on exhale. 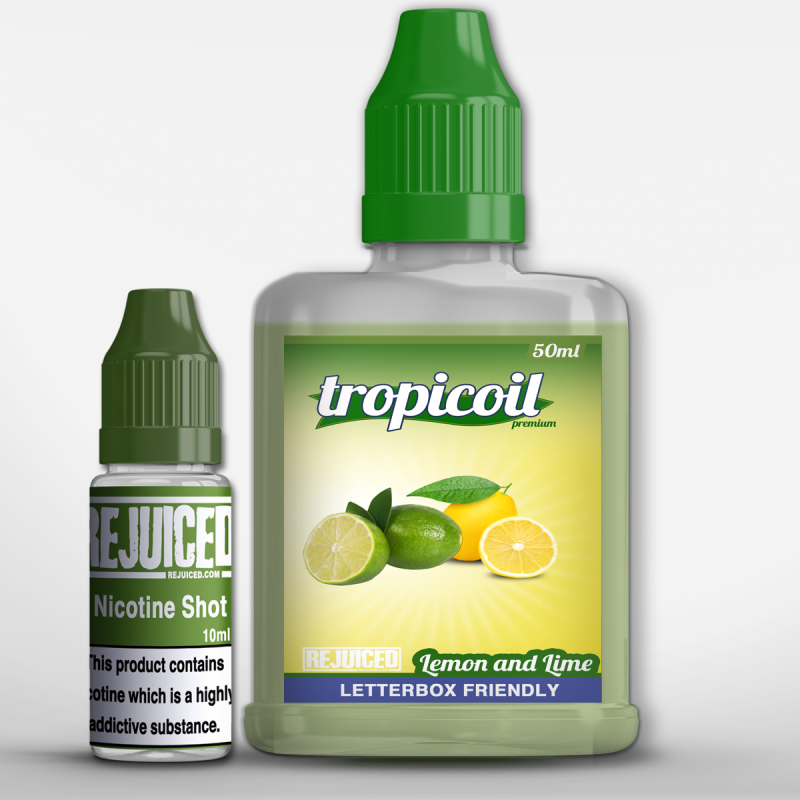 I got the time when I first got it i dripped some on my coil as I do with all my juices but did not get much from it just a slight lemon taste no lime so i added the nic shot then i gave it a 4 week steep as I always do with Rejuiced juices as i find it really does bring them to life and this one did just that as I said before I am getting the lemon and lime coming through now I would recommend giving this juice at least a 4 week steep, after adding the nic shot. if you what the best from this juice. Well done to Rejuiced for giving us another great juice!